AWS Server Migration Service (SMS) Partners help AWS customers implement AWS SMS to migrate on-premises workloads to AWS, allowing AWS customers to automate, schedule, and track incremental replications of live server volumes. View the APN Partners below that have expertise in delivering services or solutions specific to AWS SMS. At Consegna we embrace an AWS first Datacentre Migration and Digital Workspaces transformation approach based on our proven customer centric delivery methodologies. Focused upon our philosophy to enhance business capability and drive commercial efficiencies through embracing AWS and aligning ITSM and DEV/OPS. Guiding our clients through the cloud adoption framework to construct a minimal viable product delivery approach. The Server Migration Service Partner accreditation is enabling us to rapidly progress through an iterative MVP delivery approach and expedite the benefits realization for our customers. Logicworks is an AWS consulting and managed services provider with 20+ years of experience in enterprise IT. As an AWS Premier Partner, our team of tenured AWS certified engineers lends their expertise to customers who are looking to migrate applications over to AWS. We ensure that the application infrastructure is automated, secure, highly available, and running in the most cost optimized manner possible. 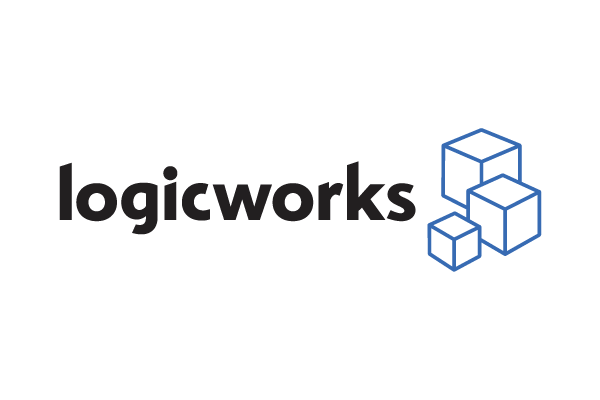 Logicworks is an industry leader in assessing, migrating, and managing complex infrastructure for industries with high security and compliance requirements, including finance, healthcare and retail. Onica’s migration methodology accelerates the journey into the cloud. Leveraging 30+ years of experience building and managing critical systems, we specialize in seamless execution, crafting best-of-breed solutions that enable customers to leverage the power of AWS. Our dedicated team of cloud engineers and solutions architects are experts in selecting the best AWS Cloud Migration Strategy for your business. At the onset of any cloud project our team will work closely with your organization to create a solid cloud vision statement and identify the key business benefits of moving to the cloud. Creating this firm business case will allow your organization to accurately track the outcomes achieved following your cloud deployment. Many different migration strategies exist and Onica will outline these options and help in selecting the right methodology prior to supporting the execution of your migration. REAN Cloud, an AWS Premier Consulting Partner with AWS DevOps, Life Sciences, Government, and Migration Competencies is a cloud-native firm with deep experience supporting enterprise IT migrations including applications, databases, implementing DevOps pipelines, and providing security and compliance best practices in highly regulated institutions in the public sector. Along with building and/or migrating cloud-based infrastructure and application layers, we are adept at transitioning your existing systems into a virtualized infrastructure, with enhanced security to meet stringent compliance requirements, through our Security Framework Controls (SCF) across multiple layers, leveraging technology such as host-based firewalls, host-based intrusion detection/prevention and encryption. Take full advantage of the AWS Server Migration Service with a combination of using the AWS Server Migration Service and REAN Cloud's DevOps accelerator suite of tools, please ask us about MigrateNow and DeployNow. REAN Cloud has the unique combination of expertise to be able to work through the all of the details of securely migrating your enterprise databases while also being able to increase scalability, performance and agility and reduce costs with little to no downtime. Slalom helps clients design, build, migrate, and manage their AWS deployments to reduce complexity and maximize value. Slalom's expertise extends across next-generation infrastructure, custom development, advanced analytics, enterprise data management, and beyond. AWS Aurora plays an important role in helping clients build scalable, secure, reliable databases. Smartronix is an end-to-end solutions provider with a dedicated team of cloud professionals. Our Cloud Assured team specializes in solutions that allow our customers to unlock the potential of Cloud. With services ranging from Strategy, Design, Implementation and Managed Services our expert staff and real world experience makes us a trusted partner for your cloud initiatives. Interested in becoming an AWS Server Migration Service partner? AWS SMS participates in the AWS Service Delivery Program. The AWS Service Delivery Program recognizes APN Partners with a verified track record of delivering specific AWS services and workloads to AWS customers, including AWS SMS. To become an AWS SMS partner, apply online through the APN Portal today.